The Great War is OVAH! An ancient feud between two factions of mythical creatures has begun to erupt into all out war! The dark vampires and shining unicorns have clashed for centuries, but now, the fight for the light has come to a head! As a group of Unicorn champions, you have been called upon to defeat the Vampire menace using your magic, fighting spirit, and puzzle solving ability! Help grow the light, and break through the Vampire’s stronghold to destroy their dark power once and for all! Having completed the Vampire room just beforehand, we had gotten a small taste of what the Unicorn room might be like from the attacks the Unicorns had hidden within the Vampire’s lair. This, and the hugely original Unicorn theme intrigued us greatly. Stepping into the stables and beginning our time as unicorn warriors, I had a good feeling about this room from the start! The Vampire room was a lot of fun, but Unicorns took the experience a step beyond! While Vampires are a fairly standard theme for escape rooms, I’d never seen anything like the Unicorns room. Bright, colorful set design, including a disco ball and an amazing soundtrack, helped bring the fantasy world of the unicorns to life in a way that blew away our expectations! We were able to compete with another team during this run, and we could see their progress via a wall of lighted skulls that would darken as they made progress. Puzzles here were perfect for the theme, and opened up small fairy doors that led us towards further parts of the room. There was a great mix of physical and perception based interactions, ciphers, and classic puzzling to be had, and the non-linear nature of the room kept us engaged throughout. There was one point at which we had done everything we needed to do to trigger the final puzzle, but unfortunately, the interaction did not activate as it should have. However, our excellent game master Alex noticed immediately and made sure we were able to fix the problem asap. Also, as in the Vampires room, the doors opened fairly silently, so sometimes we were unaware that a puzzle had been completed, but this was mitigated slightly by the fairy lights and our expectations coming from that previous room. However, it would still be nice to have an audio cue that ensures players know when they have been successful. 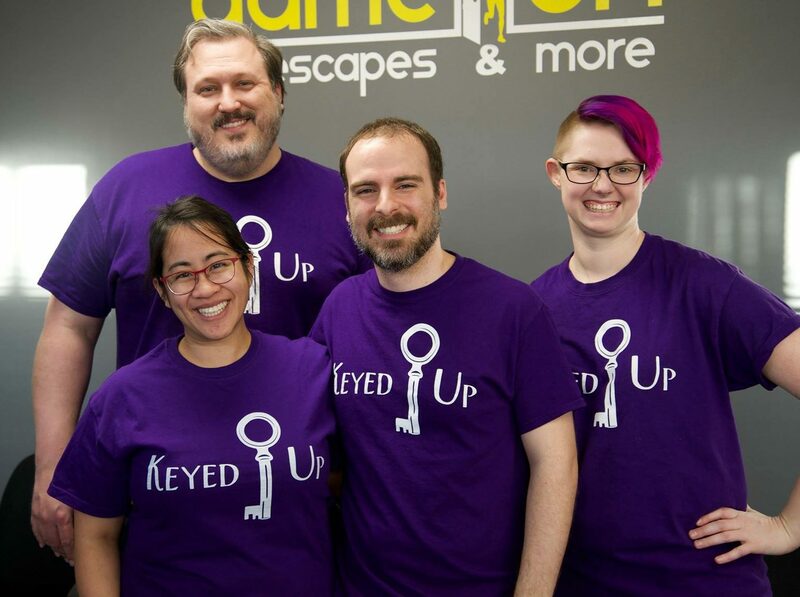 During our 8 room tour of Richmond, the Unicorns room was by far our favorite, combining an amazing atmosphere and engaging puzzles to create a unique experience we’ll remember for a long time! I highly recommend booking this room and taking the fight to the Vampires yourself! Use your Unicorn magic to protect the light here!